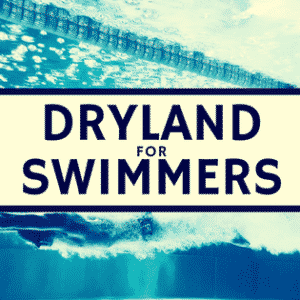 The biomechanics and fluid mechanics of swimming concern itself with the complex nature of human interactions with and movement through a body of water in unsteady conditions. 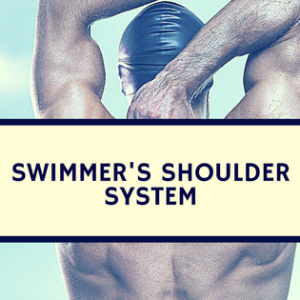 The evaluation and study of the motions of unsteady water in front of and behind the swimmers’ various body parts can elucidate many things about forward progression of a swimmer . Investigations into the interaction of a human in steady and unsteady fluids have been largely experimental, two-dimensional in nature, and all showing limitations in design . Studying a swimmer in the two states (steady, unsteady) is necessary as a fluid can be both steady and turbulent simultaneously . Average flow that remains constant with respect to time make a fluid steady. Micro-fluctuations within these average values constitute a turbulent fluid . These states of water are dependent on the interactions of the hand and forearm within the fluid environment. 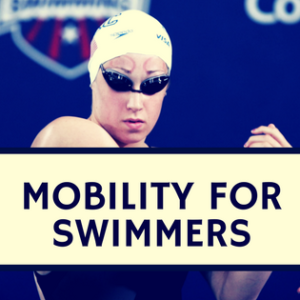 To generate forward propulsion, a swimmer needs to precipitate force through the use of hand and arm motions. Explaining movement in fluid requires measurement of forces interacting with those segments responsible for propulsion (hand/forearm) . 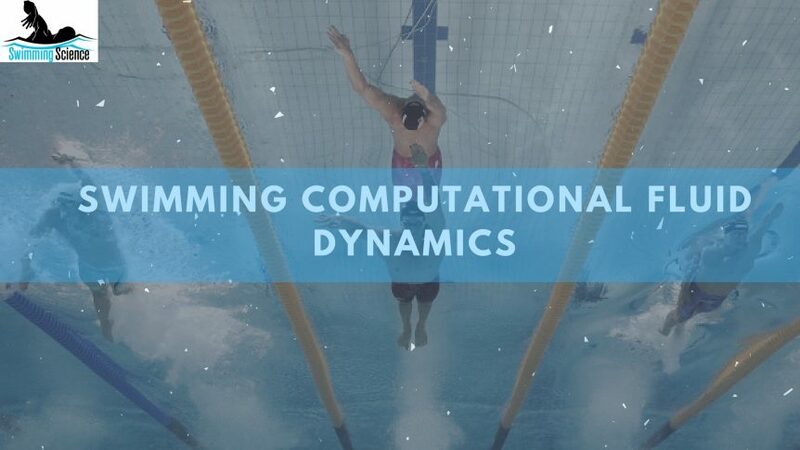 Because of the complexities of studying hand movements in water, computational fluid dynamics (CFD) were developed so that a better understanding could be gained in how the hand moves in an aquatic environment. For example, CFD has been used to investigate the contributions of lift and drag forces upon the hand while swimming . It incorporates mathematics, physics, and computational software to visualize how a liquid flows around an object in a three-dimensional (3D) manner and how it affects the body (or object). When a swimmer moves their hand and arm through water, the water exerts a resistive pressure that is perpendicular to the arm surface –this is lift force. Bernoulli’s Principle states that an increase in the speed of fluid occurs simultaneously with a decrease in pressure and is postulated as the reason lift occurs during swimming . Water also exerts resistive shear stress that is parallel to the body surface. Parallel forces, opposite to which the body part is moving, are drag forces  as seen in Figure 1. Bixler and Riewald (2002) created a model using CFD of a male’s right forearm and hand. The angle between the model’s x-axis (defined as the vector extending from the distal end of the fourth finger to the distal end of the index finger) and the direction of flow of water is the angle of attack. The angle of attack between -15˚ and 195˚ were evaluated in 15˚ increments so that full range of pronation and supination of the arm in the water can be investigated. Water velocity, which is between 0.4 and 3.0m/s, was set as the flow rate. Water temperature, viscosity, and density were constants. Sato & Hino (2003) evaluated results by comparing lift and drag of the hand in steady and unsteady-state models using CFD simulations for the purpose of predicting a swimmer’s thrust to optimize stroke motion. They employed a finite-volume method with an unstructured grid for three-dimensional equations because an unstructured grid is essential to treat complex geometry of the human hand . Rouboa et. al. (2006) measured drag and lift forces within a steady-state and unsteady-state. A 2D grid or mesh of cells that simulate water flow around a hand/forearm model with three different orientations – a frontal model and 2 lateral models (one with little finger as a leading edge and another with thumb as a leading edge) was used. Bixler and Riewald (2002) showed CFD simulations of hand and forearm drag forces were maximized at around 95˚ while lift forces were maximized around 55˚ and 140˚. More lift forces were generated when the little finger leads in the ‘catch’ phase of the arm stroke as opposed to the thumb leading. Sato & Hino (2003) also found their steady state CFD simulations agree well with measured data in previous experimental studies. In the simulated unsteady model, two elite swimmers were compared. Swimmer ‘A’ showed more thrust (1.85m/sec) as a result of continued acceleration throughout the underwater phase of the stroke compared to swimmer ‘B’ (1.75 m/sec). Swimmer ‘A’ was a better swimmer due to superior time averaged total force and thrust force efficiency (efficiency defined as thrust force divided by total force). In a steady-state condition Rouboa et. al. (2006) found that at a 90˚ angle of attack, hand/forearm drag force throughout the stroke cycle was, in all three models, responsible for the vast majority of propulsion (98.3%). Contributing lift forces in the stroke cycle remained minimal (1.7%). In unsteady flow conditions, drag force was 22.5% higher at 90˚ and with the thumb leading compared to the little finger leading as the stroke cycle progressed. By using 3D analysis, Bixler and Riewald (2002) found the force component of this evaluation incorporated all three planes of motion rather than the two planes of motion (x and y) that previous experimental studies have relied upon . Additionally, CFD has corrected the assumption that Bernoulli’s Principle can explain lift force in swimming. Earlier experimental study design utilized Bernoulli’s Principle to explain lift. However, this previous explanation is only applicable to ideal flow situations and not the unsteady flow environments found in real world swimming . Sato & Hino (2003) found that drag forces of an accelerating hand increase as acceleration increases. Previous experimental steady-state models were unable to consider acceleration of the hand and therefore underestimated drag forces . Rouboa et. al. (2006) again showed the validity of previous experimental work in past decades of drag and lift forces in steady-state environments. This study also confirmed results shown by Bixler and Riewald (2002) albeit displaying higher drag force values due to slightly different CFD parameters. This study also showed confirmatory data to that of Sato & Hino (2003) as drag forces were higher (22.5%) with the thumb leading in unsteady conditions compared to steady-flow conditions. In reviewing these studies, swimmers should initiate the pulling phase of the stroke with the little finger leading, to maximize lift force, and then quickly transition to a thumb leading, to maximize drag force. CFD has been shown to be a viable tool to evaluate drag and lift forces in steady and unsteady flow conditions around the hand and forearm. This tool could enable scientists and coaches to better understand flow dynamics around the major propulsive components of swimming to maximize technique for performance enhancement. Bixler, B., & Riewald, S. (2002). Analysis of a swimmer’s hand and arm in steady flow conditions using computational fluid dynamics. Journal of biomechanics, 35(5), 713-717. Rouboa, A., Silva, A., Leal, L., Rocha, J., & Alves, F. (2006). The effect of swimmer’s hand/forearm acceleration on propulsive forces generation using computational fluid dynamics. Journal of Biomechanics, 39(7), 1239-1248. Sanders, R. (1998). Lift or Drag? Let’s Get Skeptical About Freestyle Propulsion. Sato, Y., & Hino, T. (2003, September). Estimation of thrust of swimmer’s hand using CFD. In Proceedings of the Second International Symposium on Aqua Bio-mechanisms (pp. 2-07). Stager, J. M., & Tanner, D. A. (Eds.). (2008). Handbook of Sports Medicine and Science, Swimming. John Wiley & Sons. Trever Gray is currently obtaining his Masters in Integrative Human Physiology from Central Washington University with emphases on biomechanics, physiology and nutrition as they relate to swimming. Trever has coached swimmers at all levels since 2000 both in the United States and abroad. A two-time Olympic Trials qualifier, Trever was ranked 16th in the world in the 200 backstroke in 2000. Trever is a USA Swimming member and he can be reached for inquiries at [email protected].